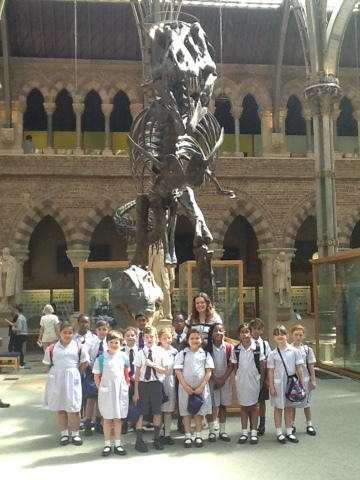 Year 3 Trip to Oxford University Museum of Natural History. During our trip to the Museum of Natrual History, the children were able to consolidate their knowledge of Dinosaurs and Fossils. All the children had a wonderful day discovering and exploring many 'touchable' exhibits, intriguing drawers to open and 'feely boxes' to explore. We all had a very enjoyable day.